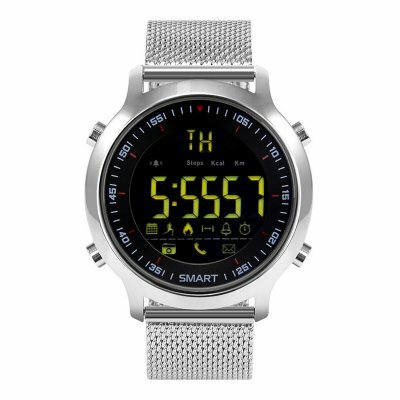 Successfully Added Bluetooth Watch - Up To 12 Months Battery Life, IP67, Pedometer, Call Reminder, Message Reminder, Social Media Reminder (Silver) to your Shopping Cart. Receive call and message notifications straight onto your wrist with this state of the art Bluetooth smart watch. This smart gizmo can be easily paired with your iOS or Android smartphone via Bluetooth. Once done so, you’ll be able to receive notifications straight onto your wrist. This will significantly increase your overall connectivity. Thanks to its powerful battery and energy saving design, it lets you enjoy all its features for up to a year without needing to replace its battery. 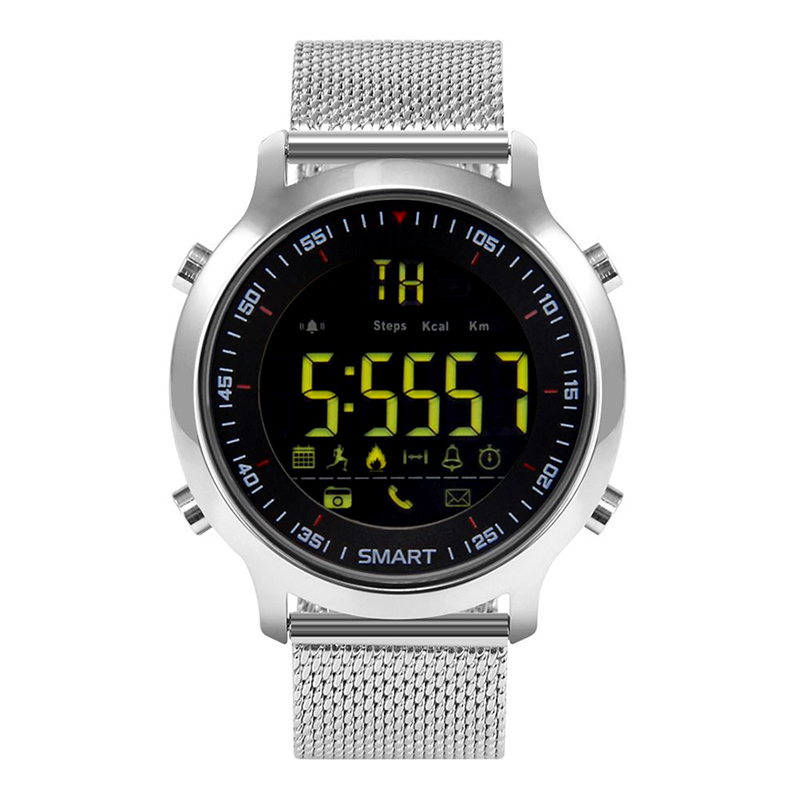 This Bluetooth watch features an IP67 waterproof design. Thanks to this, you’ll be able to use it in any weather condition and environment. You won’t even have to take it off while taking a shower. The watch itself furthermore looks stylish and casual. This makes it perfect to be worn with confidence at any given occasion. With its 10m Bluetooth range, it brings along great mobility while using it along with your smartphone or tablet. The backlit display of this Bluetooth smart watch allows you to use it at both day and night. Besides increasing your connectivity, this smart watch also stimulates you in working towards a healthier future. With its pedometer, it allows you to keep accurate track of the number of steps and distance you cover throughout the day. This will motivate you to increase your daily activity levels in order to stay fit and healthy. Additionally, it also comes with an alarm feature and stopwatch that come in handy while trying to time yourself or others during upcoming workout sessions.